In the Internet Age, a website is your most valuable asset. It’s doubly right for business owners, for whom a site is the most efficient and cost-effective way to spread their message, gain new customers and establish their brand’s reputation. 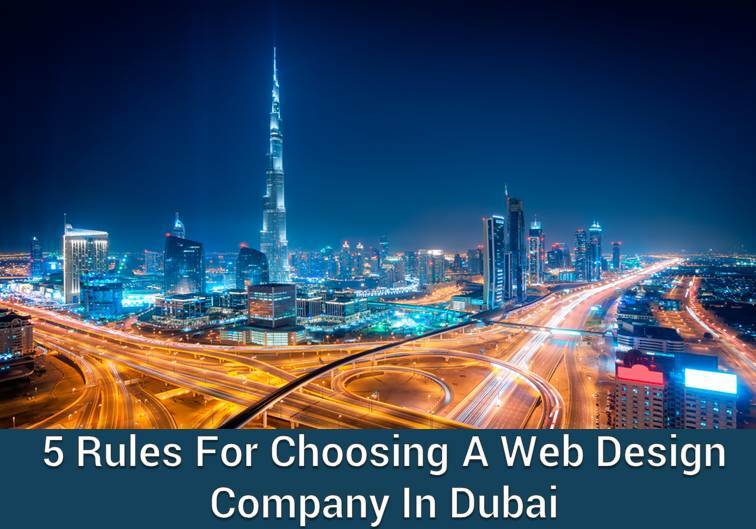 Since the website is such a valuable asset, it makes sense to hire a reputable web design company for creating it.What are the things you need to remember before investing in a web design agency in Dubai? Here are the six rules to follow. Decide what your website and its related marketing will achieve. For example, if you have an e-commerce concern, the focus of your website and its marketing material will be increasing your customer base. Naturally, if it’s a new concern, the primary focus will be spreading awareness. By fixing your goal, you will know what services you’ll need to reach that goal. To find an agency that fits the bill, you have to look at their essential services. A web design company that has the team skills and expertise to complete every aspect of your project, like design, code and analytics, is more likely to deliver what you need. How to make sure that they will give what they promise? Examine the quality of their previous works and go through customer reviews. Lots of satisfied customers raise the chances of a positive experience. Furthermore, the style and design of their previous works will let you know whether their creative aesthetics match yours. Have a face-to-face meeting with the people who could be responsible for the success of your business. Ask lots of questions – have several meetings if necessary. At the end of it, do you feel that the team members are competent, trustworthy and keen on their work? Simply put: do you get good vibes? Then it’s probably the right agency for you. Pricing is the elephant in the room, but you mustn’t ignore it. Naturally, it will go up or down depending on the services and functionalities you require. Post-launch changes that require a designer or developer may also be factored in, as well as technical support on a continuous basis – the latter is especially important because your website will frequently need to accommodate new or updated content. No matter what agency you choose, it’s important that you get your full payment’s worth concerning the quality of the work and effectiveness of the content. Global Media Insight designs beautiful user-friendly and mobile-responsive websites that deliver our client’s message to their customers in the most impactful way. Build your brand’s presence with innovative websites that help you to stand apart from the competition. Get in touch with us today.